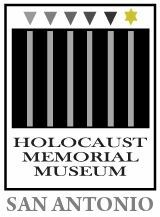 The Holocaust Memorial Museum of San Antonio is free and open to the public. Walk-in visitors are invited to enjoy a self-guided tour, while scheduled groups of 15 of more are taken on docent-led tours and offered the chance to hear from a local Holocaust survivor. To schedule a tour or hear from one of our speakers, please fill our a Tour Scheduling Form at least two weeks prior to your desired date.